50% Off Selected Household Products at Wilko - Shop Cleaning Products, Laundry & More Pick up your everyday essentials for less at Wilko. Free Click & Collect on Orders at Wilko Choose to order online and collect from your local store, all for free at Wilko. Discover 20% Off Garden & Outdoor Living at Wilko Make the most of the sunshine and save 20% on garden and outdoor living at Wilko. 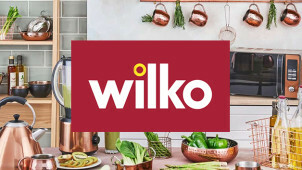 Shop 30% Off in the Home & Kitchen Clearance at Wilko - Including Cookware & Kitchen Accessories Head to Wilko today and make huge savings on Home & Kitchen essentials. 20% Off Selected DIY & Decorating at Wilko - Including Tools, Wallpaper & Paint Get stuck into some DIY and save 20% on tools, wallpaper & paint. Save 30% on Pet Food at Wilko Trust in Wilko to give you amazing discounts on top pet food brands, save 30% on your orders today! Shop 30% Off Floorcare this April at Wilko Pick up your cleaning necessities with a 30% discount at Wilko! Save 50% on Women's Toiletries at Wilko Pick up your must-haves for half the price at Wilko. Wilko is fast approaching it’s 90th year and is one of the most ubiquitous and celebrated brands in the UK. The company started off as a small family business based in Leicester, focusing on home renovation, and was founded by James Kemsey Wilkinson in 1930. The store was a huge success, and within the first ten years of opening, Wilko had expanded to nine locations. As you might expect from a company so intimately involved in creating a sense of home, Wilko has been a family business throughout and is still run by a generation of Wilkinsons, who manage a whopping 387 stores as of 2016. Community is incredibly important to Wilko and they are backing 25 charities nationwide, all of which have a sustained focus on responsible business and giving back to the local communities. From grow projects and allotments to local schools, playgroups and nurseries, Wilko are dedicated to fostering a positive relationship with the community, so get in touch to see if Wilko can lend your community project a helping hand. How do I use my Wilko promo code? Keep your eye on the Offers tab of the Wilko website to make sure you are the first to know about the latest deals. Can I cancel my Wilko order? You can cancel an order before the order is sent or up to 14 days after delivery, provided the package is in mint condition. All you have to do is call 08000 329 329. What if I can’t get my Wilko order delivered to my home? You can get a Wilko product delivered to your local store in 2 working days. How can I find my local Wilko store? Check out the online store locator to help you find your local store quickly and easily. Call on 0800 329 329 or contact Wilko using their online form. For information on premium deliveries and heavy item costs, click here. Wilko have a 14-day returns period in which you can cancel your order and be fully refunded. If your items have been damaged or opened then they cannot be returned. If it is a custom-sized item it is also not eligible for return. Any item that arrives damaged or is faulty due to the manufacturing process will be eligible. With summer finally here, there's no better place than Wilko to get your home and garden ready for the long days and bright weather. From maintenance and cleaning to paint top-ups and getting your hands dirty in the soil, your Wilko promo code will help you refresh your home for less. With amazing discounts and deals on some top of the range products, this year you can convert your home into a palace without paying a princely sum. Wilko have everything you need to help grow your own veggie patch, no matter what your location. From pop-up Greenhouses and grow bags for you urban earthworms to lawn feed and patch repairs for the green fingered gardeners. Wilko have each element of your outdoor experience covered, whether you’re looking for that quintessential British barbeque experience (complete with frequent rain showers), or just to stretch out in a deckchair and enjoy a little peace and quiet. Get a new handle on the atmosphere of your room with a fresh lick of Wilko paint. You can take your pick of hundreds of colours to ensure that you’ve got the perfect feel for your room, and now for less with your Wilko discount code from vouchercloud. With a selection of some of the top brands in the world, including Dulux, Hammermite and, of course, Wilko’s own paint line, you can be sure to find the right shade that'll bring every room into the new season!